Tropical paradise. A moniker often thrown around with reckless abandon…but we invite you to come up with a more deserving destination for the term than Fiji! 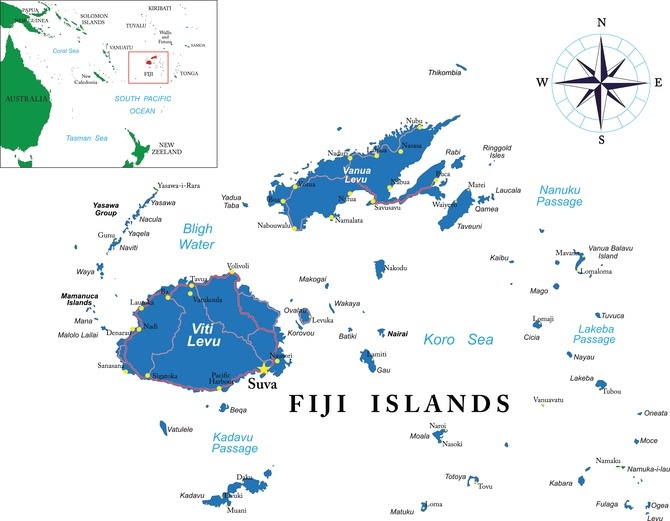 Fiji is located in Oceania (in the South Pacific) and lies about 2000 kilometres northeast of New Zealand. 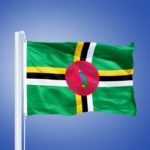 It is close to countries such as Vanuatu, Tonga, the Samoas, and Tuvalu. May to October is the best time to visit throughout the entire country. Rainfall is pretty sparse and temperatures are more comfortable – though it can get busy during the summer months. Any other time is also fine, though you should expect more rain and humidity. How do I get around Fiji? Using a combination of buses, small trucks, and ferries, you should be able to traverse the islands and jump between them fairly easily. There are also more expensive charter options, bigger boats, and small planes if you want to travel in style. 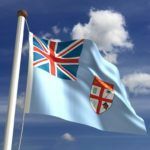 Fijian, English, and Hindi are the official languages of Fiji, and you will likely hear them all throughout. Nearly everyone speaks English so you should have no problem getting by. Fiji’s capital and largest city may not offer the serene beach escapes you’ve come here for, but that doesn’t mean there isn’t a whole heck of a lot to like here. First and foremost, there is an unfettered vibrancy to the cultural scene in Suva – whether it’s in the bars, nightclubs, or shops. The city itself is quite pretty, with a lush green atmosphere and colonial architecture throughout. It’s the largest city in the South Pacific, and it certainly lives up to the stat with a lot to see and do. 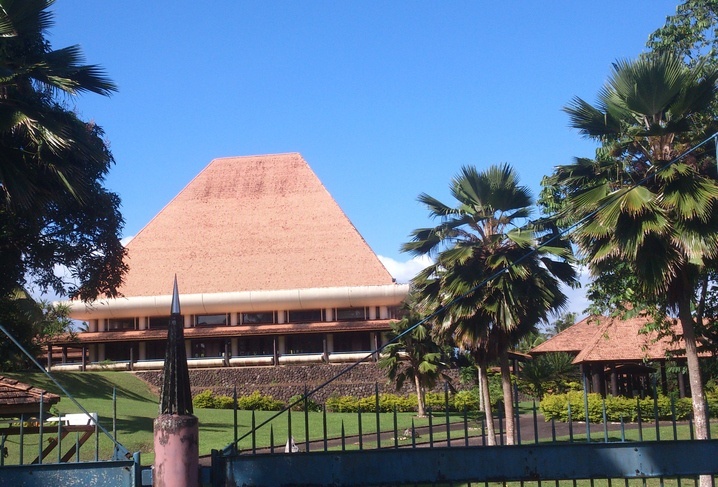 While Suva may be the centre of life in Fiji, Nadi is your most likely point of egress and entry. As home to the largest airport in the country, visitors will likely make at least two visits to this city. On the surface, there’s not a whole lot to it and you’ll likely want to keep your visit short and sweet. This is all well and good, but you should definitely take a bit of time to get to know the local culture (a mix of Fijian and Indian, with ample Hindi and Islamic leanings as well). The beautiful Sri Siva Subramaniya temple is a worthy site as well. It’s not the most exciting place in Fiji but if you’re going to be here anyways you may as well make the most of it. Located on Fiji’s second largest island (Vanua Levu) is the town of Savusavu. Good cheer and culture emanates from the classical taverns, bringing to life storybook tales of high seas adventure. It’s as close as you can get to recapturing a bygone era of discovery and exploration. You’ll also find ample restaurants, stores, and a central market. The island of Vanua Levu itself is no slouch either. Thanks to its slightly off the beaten path position in the Fijian tourism wheelhouse, the island is a bit of a hidden gem. Great diving, sprawling forests, hidden villages, and one of the most picturesque coastlines on earth are just a few of the secrets that can be revealed during a visit. We know you’re waiting to hear more about Fiji’s excellent beaches…but you’re going to have to wait just a little longer. Known as ‘the Garden Island’, Taveuni drives home the fact that there is just as much to see away from the coast as alongside it. The volcanic island is covered with the highest mountains in the country, while the dense tropical forests are home to a mind numbingly diverse collection of wildlife. There’s great hiking amongst the peaks and valleys, waterfalls and trees. Of course, the rugged coastline is also worthy of a trip in its own right. At the end of the day however, few things can compete with relaxing on a beach in one of the most agreeable climates on earth. That alone is the reason the Mamanuca Islands have grown into one of the country’s most popular tourism destinations. The islands offer exactly what you’d expect – with top class resorts, adventure tourism, and more sandy beaches than you can shake a stick at. It may not be a well-kept secret by any means, but when you’re wading in the warm waters or relaxing under the shade of a palm tree…who cares? For those who want to sample paradise without the overabundance of resorts and fellow tourists, the Yasawa Islands offer an opportunity to do just that. While the chain is much easier to reach compared to how it used to be, you’ll still be greeted by a collection of relatively sparsely populated islands. The usual ‘lounging around’ and adventure activities are here in equal measure, though the Yasawa Islands are definitely a bit ‘emptier’ than some of the other parts of Fiji. That being said it remains a great place to visit, and we doubt you’ll want to leave! Round trip flights between Toronto and Nadi often start around the $3000 Canadian mark. Obviously this is not cheap, so you definitely want to take the time and shop around for deals. Travel packages or an agent can help you cut costs down, but you should expect to pay a fair bit to get to Fiji. On average, you should expect to spend about $128 Canadian a day on a mid range budget (including $84 for accommodation and $25 for food). Thrifty travellers can get by with closer to $55 a day while the higher end of travel will cost closer to $263. Expect prices to vary depending on whether you’re staying at an all-inclusive resort or more rustic escape off the beaten path. As with most countries, there’s a way to travel that fits in almost any budget. Fiji is a very safe country with normal security precautions recommended throughout by the Canadian government. That being said, there is some petty crime that can be directed at tourists – so be alert as usual. Transportation standards vary throughout the country. Finally, if you’re planning on diving or hiking, do not do so alone and stay within your skill level. For much more in-depth information, check out the Canadian Travel Advisory for Fiji. You can learn more about Fijian history and culture in our Country Profile. Find out all you need to know about the Fijian dollar with the Currency Spotlight.